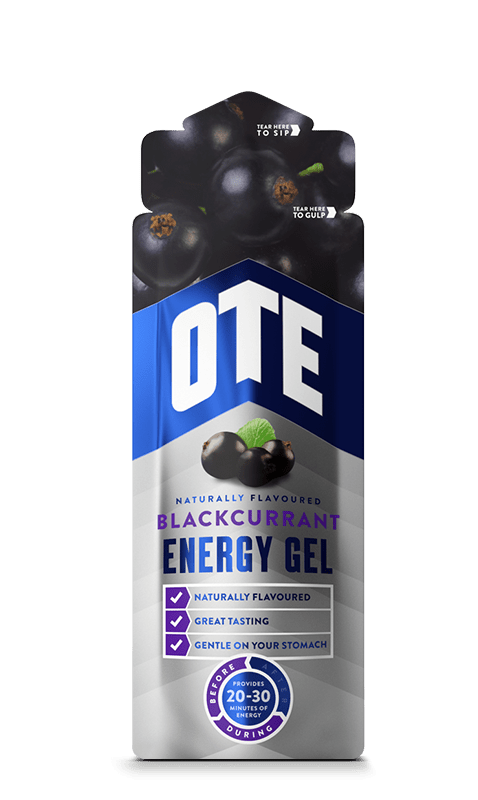 Our OTE Blackcurrant Energy Gel has been designed to provide quick release energy during exercise. It also contains electrolytes to help replace salts lost during sweating. One gel provides you with 20g of carbohydrates. This is enough energy for 20 minutes of moderate to intense exercise. The gels Dual-Delivery packaging makes it easy to open no matter what sport. The natural blackcurrant flavour contains real fruit juice concentrate. This provides a refreshing fruity taste in an easy to consume, almost liquid-like consistency. All our gels are produced in an Informed Sport certified manufacturing facility. To find out more about why you would choose to use an energy gel click here.